We have two new employees who joined JH Partners in June 2015 as Junior Engineers. 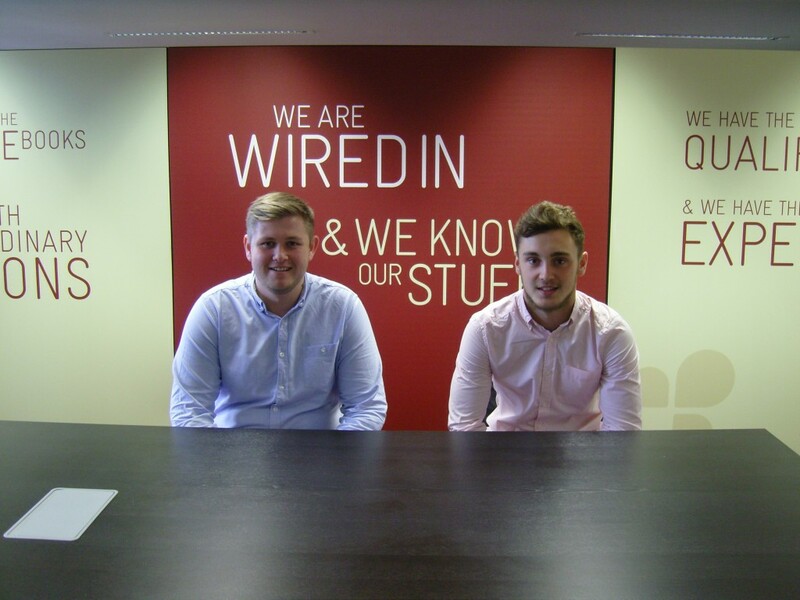 We welcome on board Scott Lundy (left) who will be Electrically biased and James Kemp (right) who will be Mechanically biased at our Durham Office. Both employees have settled in well and we look forward to progressing and helping both gentlemen grow into engineers. Link below to our press release issued last week. You may also have seen our release in The Northern Echo and North East BDaily. If you require further information on the works completed to date for Motel One please contact Craig Jordan or Lauren Harrison. JH Partners entered Build Newcastle Live with a collaboration of nine North East based companies as the ‘BIM Commandos’ (from architect to contractor) to produce a level 2 BIM project by including all seven pillars. The Build Newcastle Live challenge was to transform land along Newcastle’s Quayside, surrounded with high quality architectural development into a new and imaginative flagship project that reawakens pioneering spirit to create a new unified building facility where digital and technological innovations that can be inspired and nurtured; a destination where new ideas can be turned into new businesses, products and jobs. 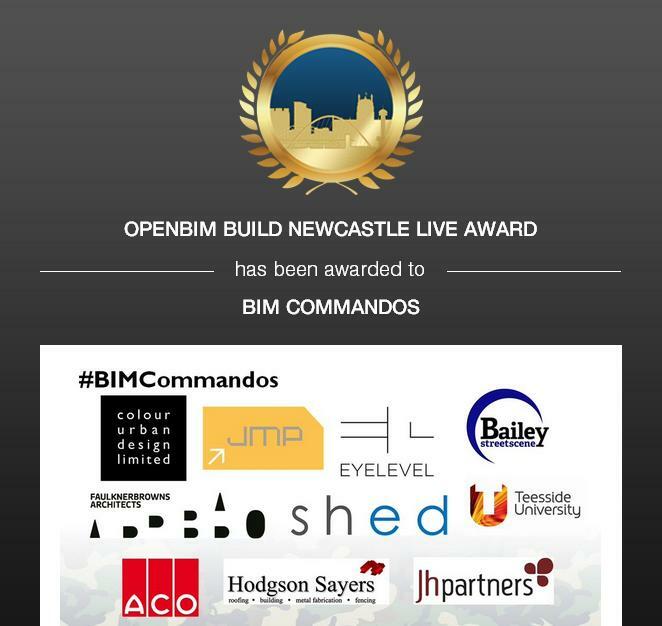 Even though most of the team on #BIMCommandos are still in BIM development, the team WON the OPENBIM BUILD NEWCASTLE LIVE AWARD! This was a fantastic challenge and a great opportunity for our members of staff to be involved in such a prestigious competition. We are pleased to announce our new appointment for Phase II – Sciences Redevelopment on behalf of University of Sunderland. J H Partners will carry out the second phase of the redevelopment for the following areas; Pasteur building (first floor) and Fleming building (ground and first floor) . The project will consist of a mixture of staff accommodation, teaching spaces together with laboratories and associated preparation and support areas. A NEW religious, training and retreat centre is getting a complete revamp (formerly known as The Grail). J H Partners have been directly appointed by Diocese of Westminster for Waxwell Farm redevelopment. The Grade II-listed Elizabethan building was bought in 2011 by the Diocese which, following extensive public consultation, last year submitted amended proposals to Harrow Council to modernise the complex. We look forward to working alongside Diocese of Westminster and Camphill Architects on this residential and educational complex. Beacon of Light is an exciting and inspiring education, training and sports facility Centre which will be built adjacent to Sunderland Aquatic Centre and the Stadium of Light. The Centre will provide a safe, feel-good environment where young people can meet socially; to learn and take part in courses to gain skills and qualifications; and where their fascination and love of football will start them on a journey that will help them make choices to improve their lives. 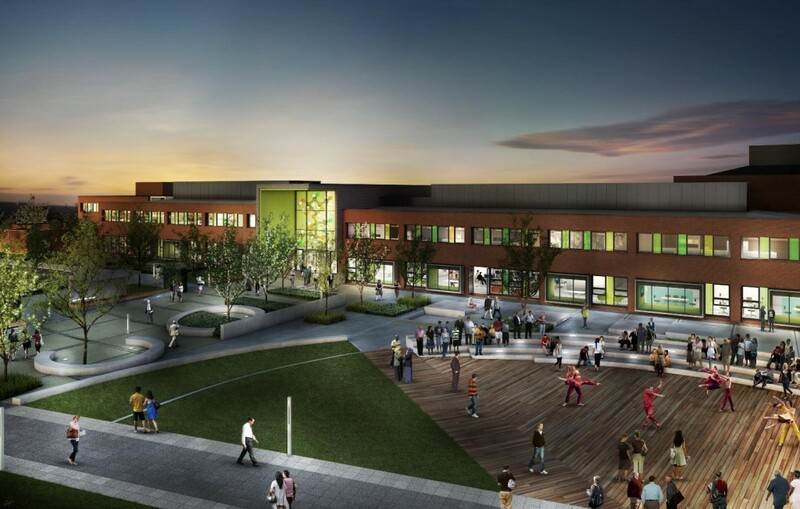 The unique Centre will be the first of its kind in the UK and include engaging and interactive zones in education, health, fitness, and sport. Facilities will include a sports halls, football pitches, flexible informal learning spaces, education suites and a ‘players’ lounge’. The Beacon of Light will be three storeys high and will celebrate the history of its city within its design. The design is now underway and construction work will begin in late 2015, with the doors opening to the public in 2017. What a great experience! Good team building enjoyed by all, the competitive edge definitely showed with a little bit of bumping and some ungentlemanly conduct. Congratulations to Iain Garfield who came 1st with Martin Shaw not too far behind scooping up 2nd place and Glen Stephenson in a respectable 3rd. John Dutton (or ‘Captain Birdseye’ as nicknamed by our very special host) unfortunately retired and was awarded the booby prize. Lauren came last but did seem to enjoy herself driving around the grass instead of the track! A quotation from the birthday boy ‘Steve Bird’ who felt every one of his fifty years on his way up the summit. The Lang dale fell is not exactly Everest but it’s fair to say that most of the team would have benefited from oxygen on the way up. 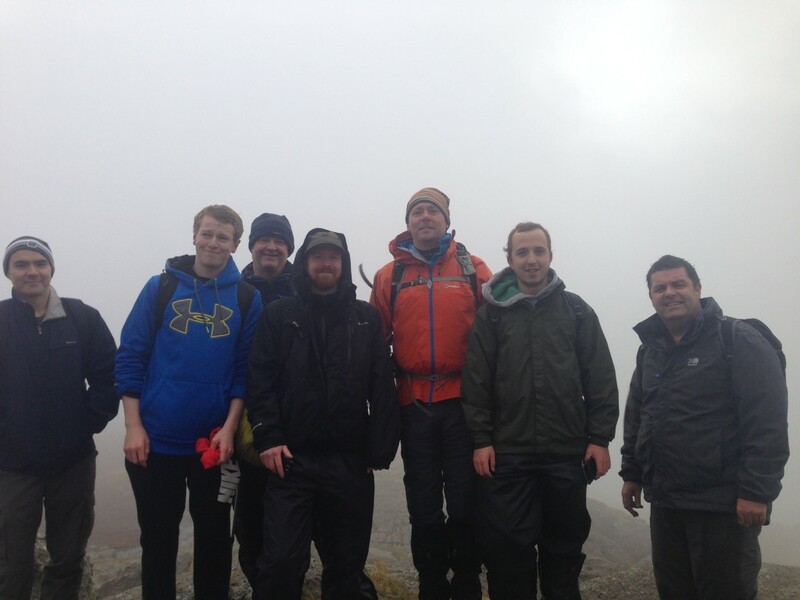 The weather was not kind and we got soaking wet on the way down. With the pub in sight half of the team made a run for it and bought the beers for the stragglers, an open fire and a warm welcome topped the walk off. The refreshments continued into the night. All in all a great trip. Craig also attended the walk but got the job of being camera man for the day. Steve Bird is now in full fitness mode ready for the next team building event. Do you have what it takes to become a member of our extraordinary design team? We are looking for candidates for the following roles for both our Durham and London offices. Due to our expanding workload and growth plans we are currently seeking Mechanical Engineers at a variety of levels from Junior Engineers through to Principal Engineers. Due to our expanding workload and growth plans we are currently seeking Electrical Engineers at a variety of levels from Junior Engineers through to Associate and Director Levels. All levels of BIM Technicians required. Excellent salary packages are available and shall be discussed with each candidate. 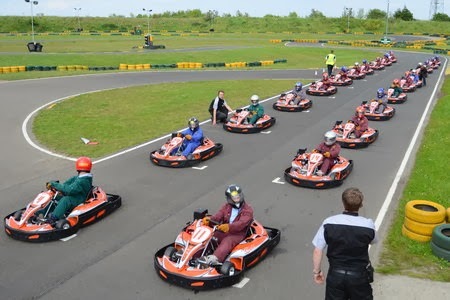 We have challenged our Client and the Design Team to a go-kart challenge at the national outdoor go-karting circuit at Warden Law, Sunderland. 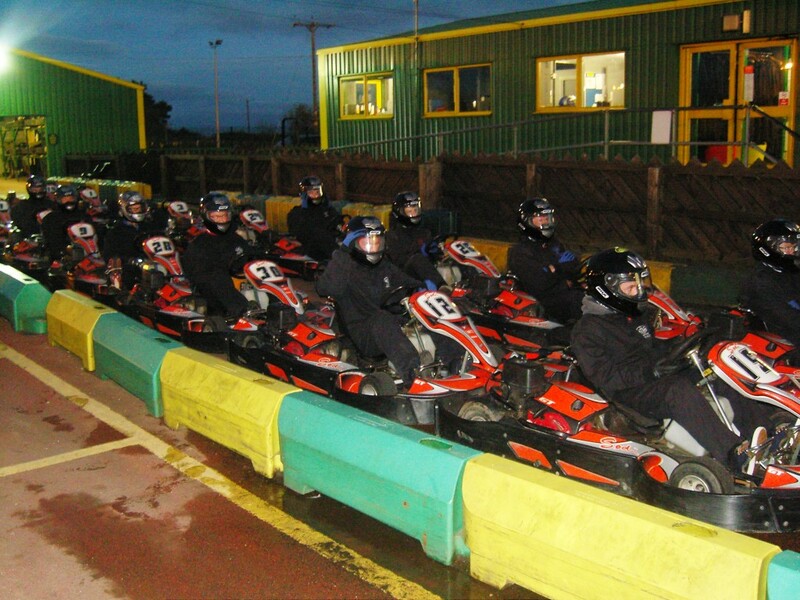 The karts can apparently reach speeds of 60mph! on the main straight, with your ‘backside’ literally millimetres from the ground this event is not for the faint hearted! Thankfully the team is up for the challenge, this promises to be a well deserved afternoon away from the office for all concerned. We shall post the results and photos (if we win! ).